This weekend I had the great priviledge to crew for Steve James in a Badwater Solo effort. 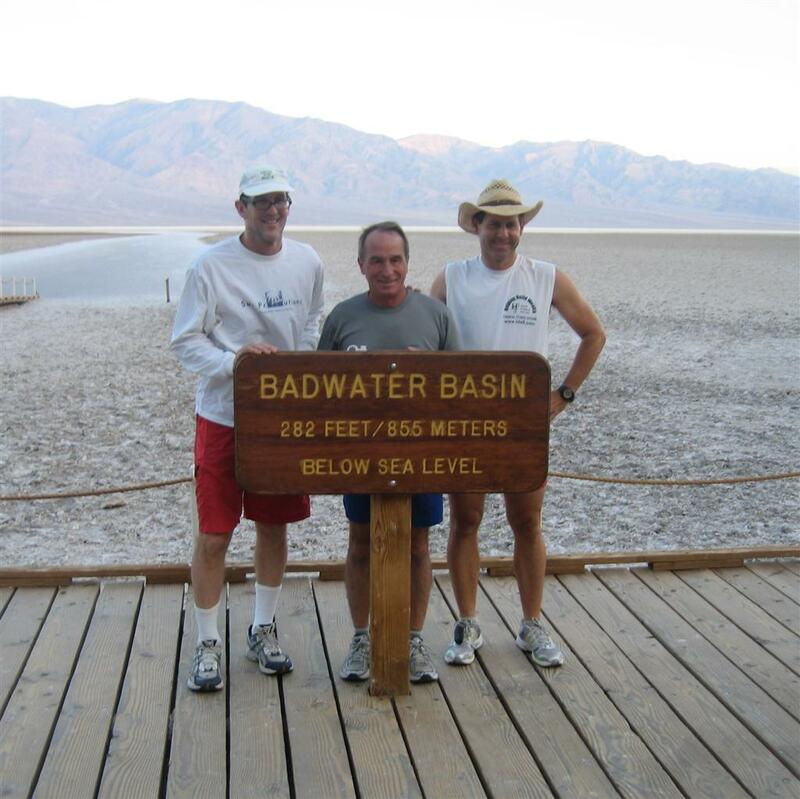 This is the second time Willy Roland and I have crewed Steve in the trek from Badwater to Mount Whitney Portals. This time, even with tremendous blister issues, he was able to complete the course in 53 hours. This was perfect timing for me as I was able to spend these 3-4 days in the desert, getting comfortable with the heat, and putting in some good ‘Badwater Miles’. I paced with Steve, just as if I was racing myself, with Willy crewing us both, for the Furnace Creek to past Stovepipe sections, then from Panamint up to Father Crowley’s Point, and then the climb up to Whitney Portals. Those are good sections of the course, all challenging, I was hoping to continue after Stovepipe up Townes Pass, but my feet were not feeling so good, and I didn’t want to cause any issues that would weaken me before my own race on July 22. Willy also spent much time doing long stretches of pacing, from where I left off after Stovepipe, all the way up and down Townes Pass into Panamint. Then for very long stretches of road from Father Crowley’s to the beginning of the Whitney Climb. We had a great time, the desert is quite a unique place, much of if looks like you are on a completely different planet. Also, during the day around Darwin Cutoff, we were ‘buzzed’, by fighter jets on 4 or 5 occasions. Though buzzed is not at all the right word here, we were BLASTED by jet engine noise, never seeing the jet until it was literally on top of us, and the sound explodes all around you. I know those guys LOVE targeting on a slow moving runner or stopped vehicle and going through a low elevation attack like that. What fun that must be. A great trip to Los Angeles, with good friends. Both Steve and Willy are my crew for Furnace Creek 508, so I’ll be seeing them again in October. This entry was posted on Friday, July 6th, 2007 at 4:33 pm	and is filed under Running. You can follow any responses to this entry through the RSS 2.0 feed. Both comments and pings are currently closed.